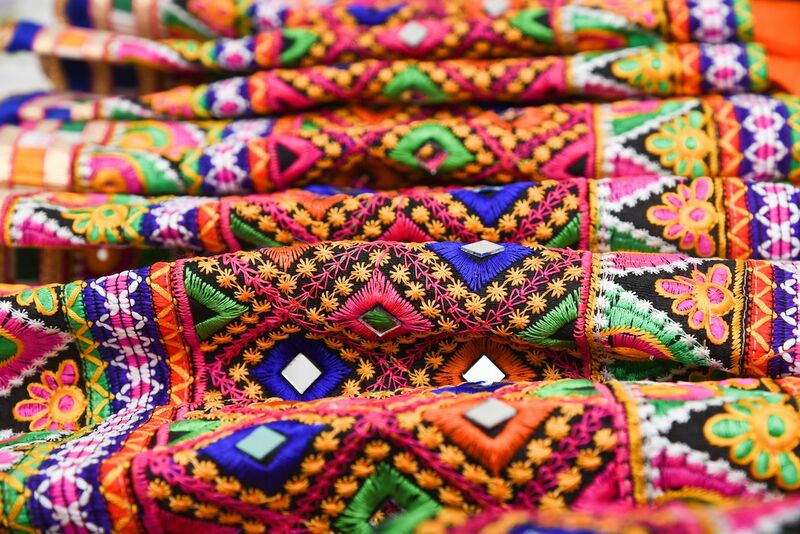 Many countries around the world are known for their traditional textiles, often bright and intricately embellished fabrics showcasing designs unique to their nations of origin. 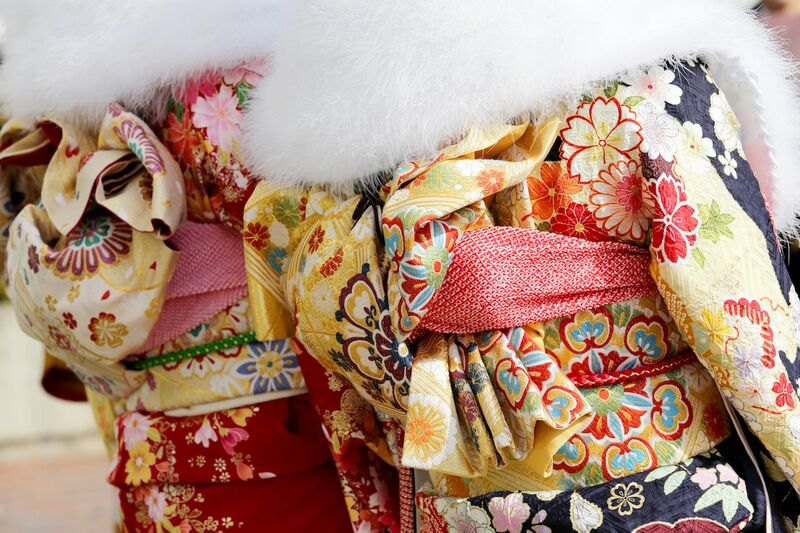 Examples of famous textiles can be seen in iconic traditional dress, from Scottish kilts to Japanese kimonos, as well as decorative pieces meant to be enjoyed for their artistic value. For insight into cloth creations from across the globe — and some serious souvenir inspiration for your next trip — check out these nine stunning textile designs and the stories behind them. A symbol of Indonesian culture, wax-resist batik cloth features repeating patterns either drawn by hand or pressed on using a copper stamp. Heaps of cloth are pounded with mallets, designed, and then coated in paraffin or beeswax, which is later scraped away and leaves only a thin coating. 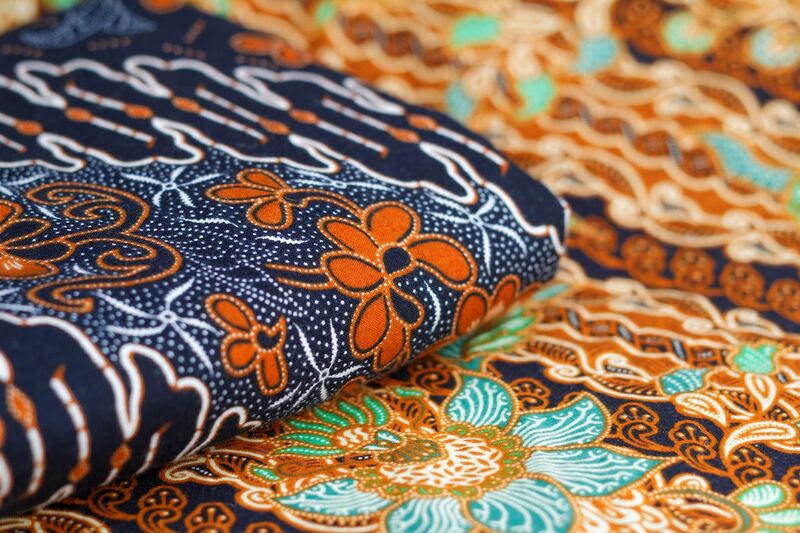 Java is especially famous for its batik prints, though the art is practiced throughout Indonesia. Coastal regions are known for incorporating vibrant hues while inland batiks are typically more subtle. Traditional designs carry emblematic meanings said to bring good luck, and historically, certain patterns were reserved for Indonesian royalty. One of the most recognizable textiles the world over, batik was named a symbol of intangible Indonesian heritage by UNESCO in 2009. Shisha embroidery is bright and ornate, but what really makes it stand out is its use of mirrors, which are sewn into the fabric to create something truly eye-catching. Mirror embroidery dates back to the 17th century and is believed to have been influenced by a Persian aesthetic known as shishesh, meaning glass. Today, shisha embroidery is representative of the Indian aesthetic — though examples can be found elsewhere in Asia, including China and Afghanistan. You’ll see reflective elements decorating not only clothes, but also wall hangings, tapestries, and other home-decor pieces. Characterized by neutral colors and rectangular patterns, Kuba cloth comes from the Democratic Republic of the Congo, where men and women alike wear skirts made from that fabric during traditional ceremonies such as weddings and funerals. Kuba cloth is created out of raffia cloth, made from palm leaf fiber, which is pounded in a mortar before being ornamented with stitch work. The resulting cloth takes on a texture similar to velvet. Some versions are dyed red using twool, which is sourced from tropical trees and said to be imbued with magical properties that protect the wearer. Interestingly, Kuba cloth’s geometric designs are stitched slightly irregularly, which some suggest parallels traditional Congolese music, known for its slightly off-beat phrasing. Tartan is a boldly colored, criss-crossing pattern most closely identified with Scottish garb, particularly kilts. It dates at least as far back as the Middle Ages. While similar textiles have been discovered in Austria and elsewhere in Europe, tartan hit its cultural stride when it was adopted by Highland clans in the 19th century. 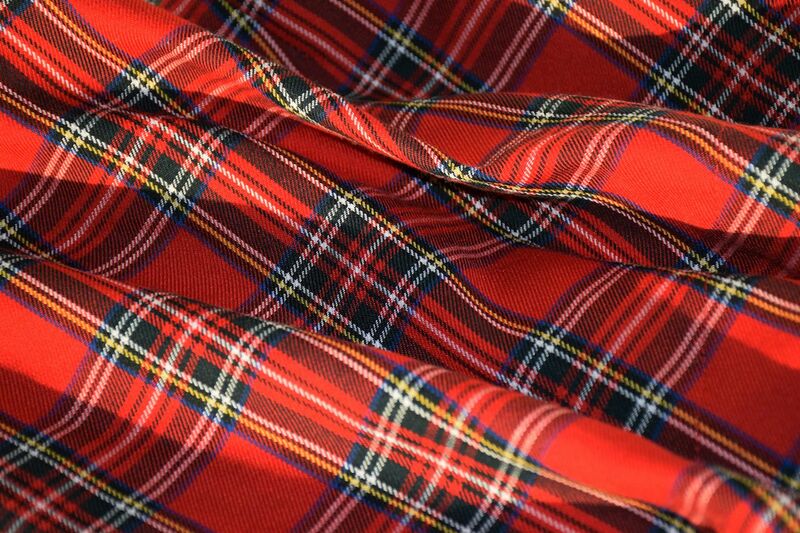 Perhaps the most recognizable example — primarily red wool with green, yellow, white, and blue accents — is known as the Royal Stewart Tartan after the House of Stewart. Today, plaid clothing is used for everything from flannels to school uniforms, but we can thank Scotland for the pioneering pattern. Ironically, African wax prints are a Dutch creation inspired by Indonesian batik design. Post colonization, Dutch merchants in Java planned to recreate the traditional wax-resist cloth and flood the local market with imitation textiles, but the plan failed. Cost-cutting production measures like using Dutch dyes and opting to coat the fabric in resin rather than wax yielded less sturdy goods that lacked the distinctive scent of the wax-coated batiks. There was, however, a market for the textile in West Africa — as Dutch merchants discovered when they introduced wax prints to the African Gold Coast around the 20th century. Now ubiquitous in Ghana, the textile has actually been produced on African soil since the 1960s and still features prominently in women’s attire, particularly ceremonial garments. Embroidery is a standout feature of traditional Mexican textiles, showcasing various symbolic motifs unique to different indigenous groups. Flora and fauna are popular subjects with flowers representing the most common design elements in clothing made by the Nahuas, Huichol, and Otomi peoples, among others. Mexican cloth handicrafts are made by loom, either the pre-Hispanic backstop loom or foot pedal loom, which was introduced during the European conquests. 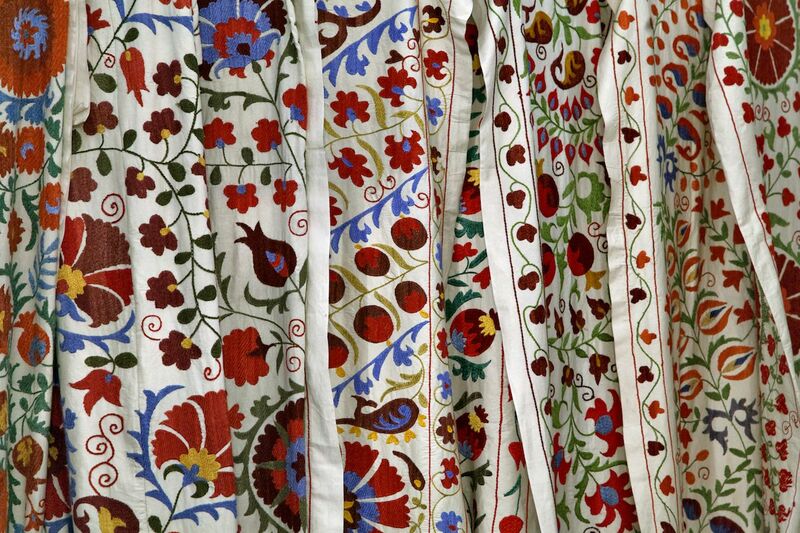 The beautiful, intricate designs are carefully hand-stitched after the cloth is produced. Many kimonos are made from Yuzen silk, which traces back to Japan’s Edo period. The name refers to a dyeing process implemented after the silk is drawn with patterns meant for various occasions. Two examples are the black-dyed kurotomesode kimono, worn by married women during formal ceremonies like weddings, and its counterpart, the furisode kimono, which is worn by single women on similar occasions. After it’s dyed and hand-painted, Yuzen cloth is embroidered with motifs such as Japanese flowers or birds. The two predominant methods for creating Yuzen silk, known as Kyoto Yuzen and Kaga Yuzen, incorporate classical imagery and more realistic designs, respectively. Beyond kimonos, this delicate textile is also used to make beautiful fans, coin purses, and other items. Suzanis represent some of the most important handicrafts from Central Asia, notably Kazakhstan, Uzbekistan, and Tajikistan. The delicate cotton and silk cloths radiate bright reds, oranges, and yellows complemented by metallic stitch work. 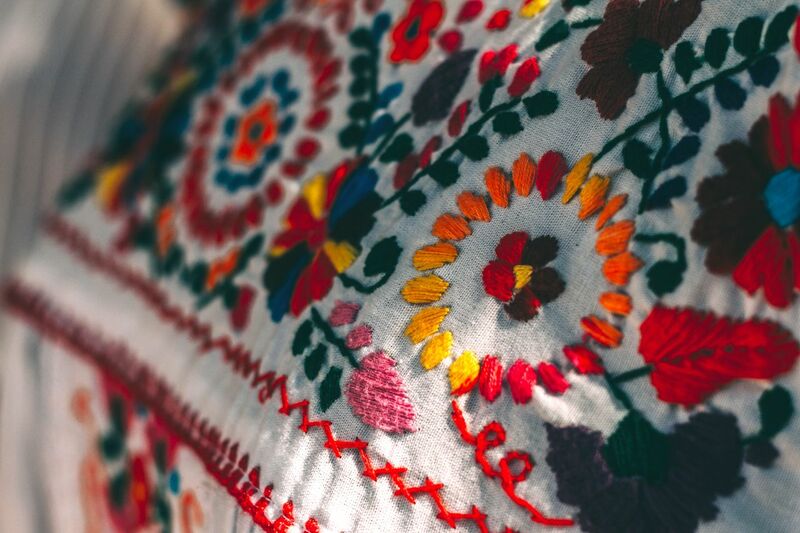 Native flora like carnations and irises are used in the most common patterns, but you’ll also find fruit, bird, and sun and moon motifs in suzani textiles. Historically, the most exquisite examples were offered as bridal dowries, a practice common to a number of Central Asian countries — though you’ll notice slight differences in the regional aesthetic, depending on where you go. Marash embroidery is unique to Armenia, where girls were historically taught needlework techniques from a young age. Women ranging from the nobility to the peasantry learned the arts of weaving and lacework, as well as how to embellish textiles with gold and silver thread and small ornaments like beads, stones, and pearls. Cities like Yerevan, Ani, and Marash are famous for their embroidery, with the latter being some of the best known. Beyond geometric patterns, Marash embroidery also illustrates figures like plants, animals, and religious icons in its designs.